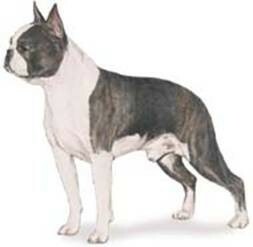 The objectives of the Boston Terrier Club of Connecticut shall be to encourage and promote the ethical breeding of purebred Boston Terriers; to urge members and breeders to accept the standard of the breed as approved by The American Kennel Club as the only standard of excellence by which the Boston Terrier shall be judged. To do all in its power to protect and advance the interest of dog shows and to encourage sportsmanlike competition at such events; and to conduct sanctioned matches and dog shows under the rules and regulations of The American Kennel Club. The Boston Terrier Breed Standard was created by The Boston Terrier Club of America, Inc. and is the Standard used by The American Kennel Club, Inc.